Aaaaarrrrgh Matey! 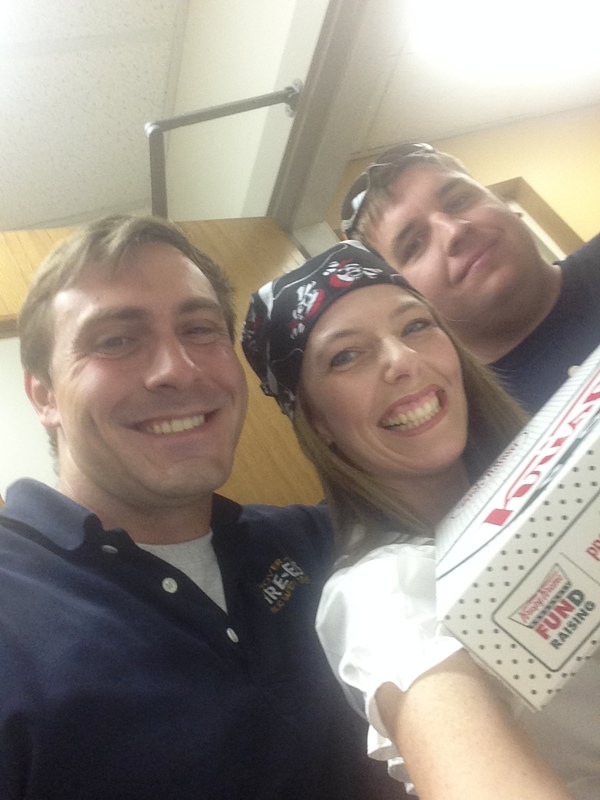 Today is Krispy Kreme’s annual Talk Like a Pirate Day which is a fun random act of kindness the restaurant shares with its customers. 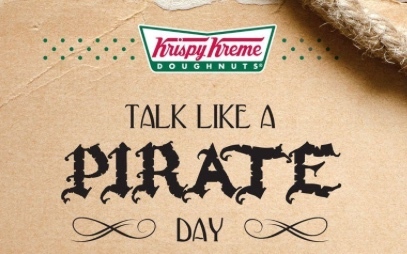 If you enter the restaurant and talk like a pirate, you will receive a free glazed donut; if you dress like a pirate (with 3 or more required elements like an eyepatch and black boots), you will receive a dozen free glazed donuts. How awesome is THAT?! So, OF COURSE, you know I had to participate! 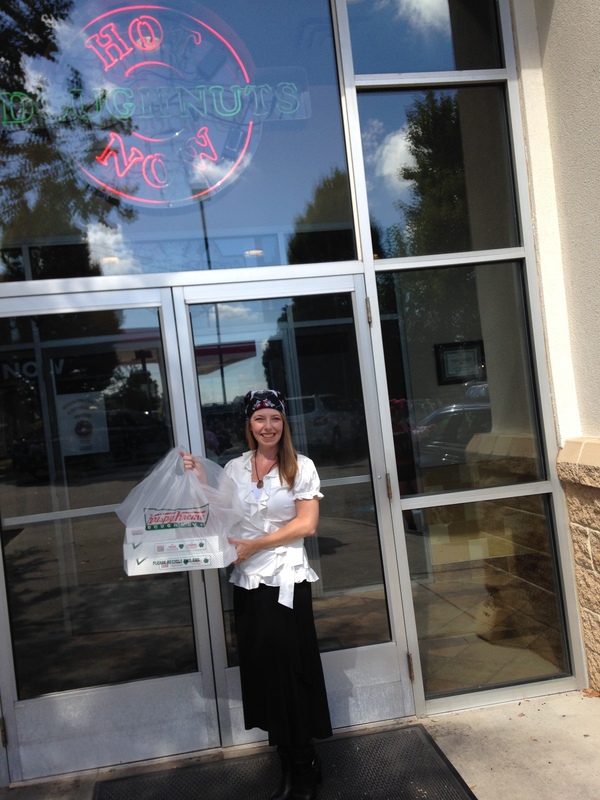 Now for those of you who know me in the professional realm, I dressed up like a pirate this summer, but it was still a blast to get dressed up again for some mouth-watering Krispy Kreme donuts! When I arrived at the store, the gal behind the counter came out and asked to take her picture with me… I wasn’t expecting that! But we were all smiles for the photos as I laughed with the other “pirates” searching for their treasure. 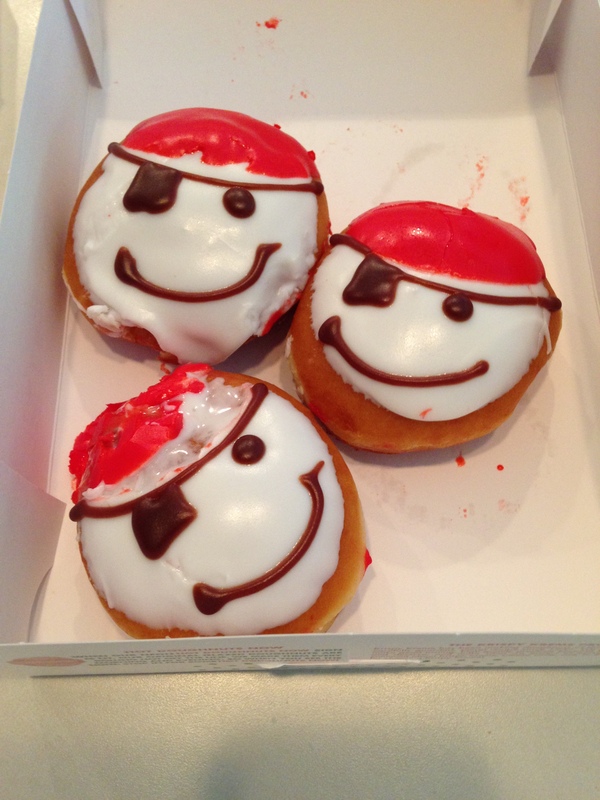 Even though I was blessed with 12 free donuts, I still bought three additional creme-filled ones that were decorated like pirates for my kiddos back home – who could resist such cuteness? The bottom one had a melted bandanna, but he was still ARGH-worthy! 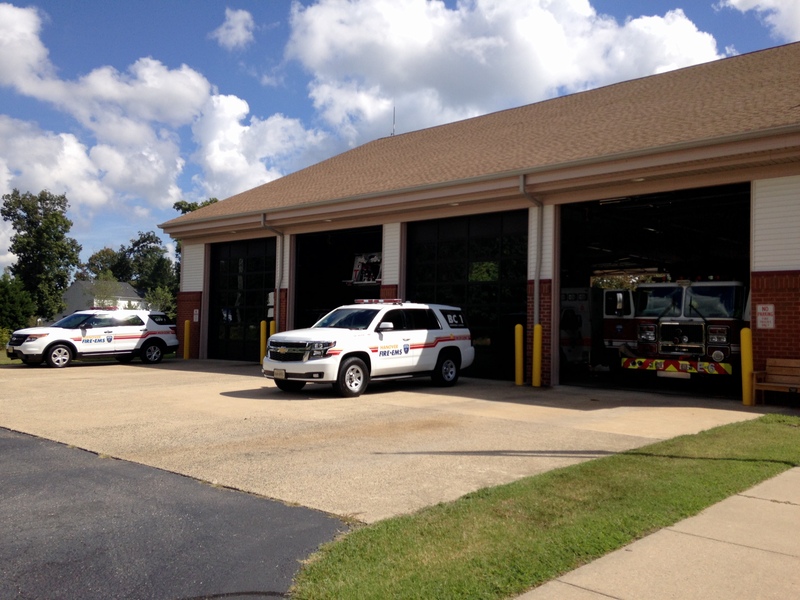 Next, I decided to pay-it-forward with a random act of kindness by donating my 12 free donuts to my local fire station. 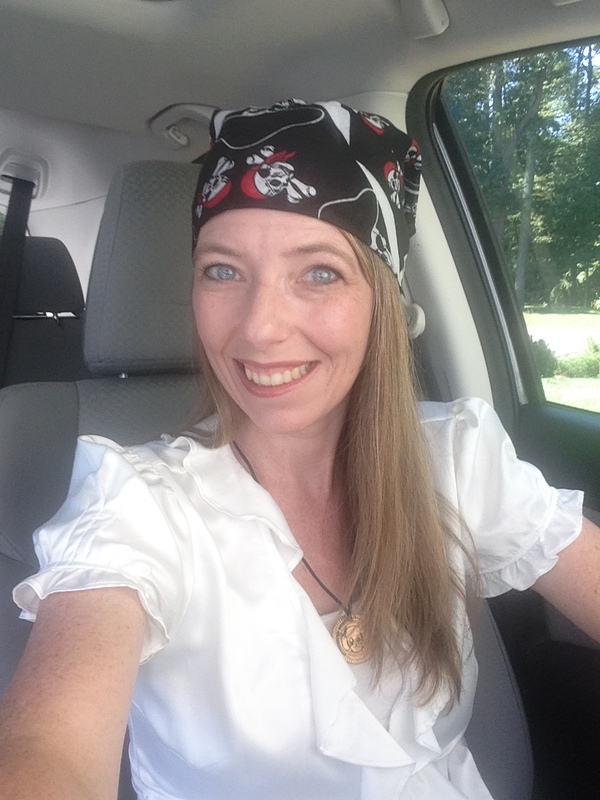 I’m sure they were a bit perplexed why this crazy woman dressed like a pirate was ringing their doorbell, but they were all smiles when I explained my RAK! It was a delightful way to spend my morning and I had three happy kiddos when I returned home. Thanks Krispy Kreme for all the fun! 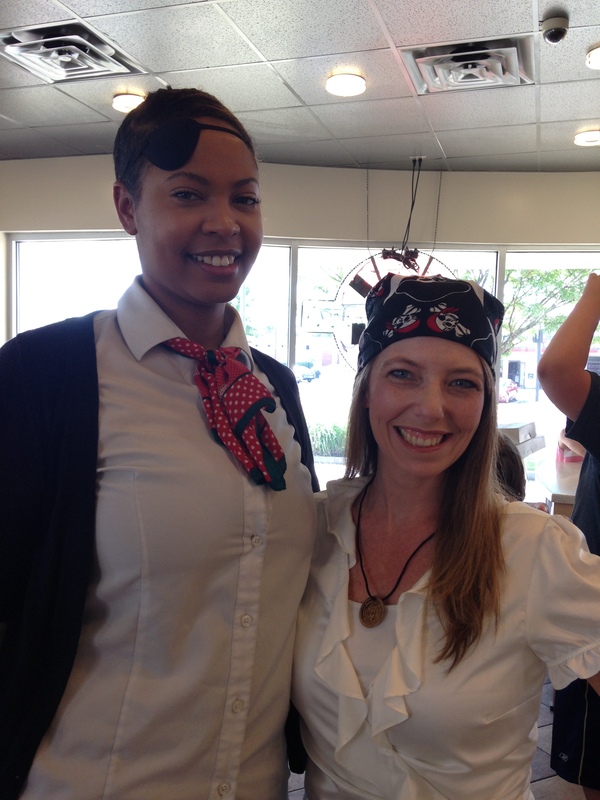 How did YOU celebrate Talk Like a Pirate Day? Comment below and share your joy!